Our collection of products to help your students master mathematical concepts continues to grow. Special thank-you to those parents and educators who email their suggestions. After viewing our list of titles, link to details. The product descriptions and additional comments provided are intended to serve as a guide for software selection. Correlations to national and state standards are provided where possible, as well as contact information. Email us directly with your favorite math title and publisher and a few words on why you really like the software. Evaluate and tell us about the instructional, assessment, and technical features of the math software and apps you use. Many of the software titles included in our software index are being used in districts in Ohio and across the U.S. Our database began with a list of software products collected from a survey of 13 mid-sized urban districts in Ohio during 1999-2000. Patricia Deubel spoke with software developers, school administrators, technology coordinators, and teachers to learn about products they were using to prepare students for Ohio's high school graduation test in mathematics. CT4ME does ongoing research to upgrade the list and keep it current. The software titles for this project have been gathered in four ways. Software titles were included on the Ohio Ninth Grade Proficiency Test Mathematics Impact Survey. This survey was used in a 1999-2000 study Mathematics Software and Achievement on the Ohio Ninth Grade Proficiency Test, which received support from the Ohio Department of Education (ODE) Urban Schools Initiative. The study measured the impact of software use on preparing grade 8 students for their first attempt to pass Ohio's required graduation math test. See a summary of this research listed in our section for Papers: The good and bad news of software use for mathematics proficiency test preparation. Teachers who were surveyed suggested other commercial and Internet software titles they used to help prepare students for the March 2000 math test. Teachers suggested software titles they wanted to use, but were not able to do so because cost was over the budget of their school or computers were not powerful enough. Some titles were of interest to special education math teachers. This is an ongoing project to help teachers to select the best software products, which help students to learn math concepts and to prepare them to pass math standardized tests. Here's your chance to email us with your favorite math titles and rate software you have used. Send us an email with your favorite math title. Douglas Reeves (2006) reminded us that "the cause of success in improving student achievement is not the brand name of the product but the degree of implementation by the teacher" (p. 78). Effective monitoring includes "not only frequency but also the specification of the levels of implementation" (p. 78). Your School Dollars Matter, Too! Audit current hardware, software, apps, established practices for their use, any licensing costs. Include all teaching and administrative staff and curriculum coordinators. Ask what the technology is being "hired" to do. Buy "off the rack." Customization is generally not necessary and adds to cost. Compare "apples to apples" from about 3-5 vendors. Ask vendors for data from districts similar to yours in size and makeup. Beware of free trials. A full pilot would provide better data. Check references. Ask for 5-6 references from districts similar in size to yours. Do a real pilot with clear goals, individuals vested in planning and implementing the pilot, sufficient time (about 12 weeks) to gather meaningful data, and a planned conclusion. Choose vendors that are transparent about their limitations, invest money into the pilot to get better results (e.g. for professional development), and get reflections from stakeholders that distinguish between product feedback and implementation feedback. Look for a vendor who puts service above product, not just in the sale, but in training, implementation, and ongoing support for the life of the product. "Find creative savings." Ask for discounts; consider collaborative buying with "consortia and cooperatives operated by school districts, state governments, and education service agencies." Know all costs ahead of time (e.g., licensing, installation, maintenance, IT support, professional development, troubleshooting). Get an "unconditional money-back" satisfaction guarantee from the vendor. Get everyone (i.e., district and school leaders, school board, IT staff, teachers, parents, students, etc.) "on board and well trained with the product." They need "to understand the product and buy in to shared objectives and expectations." Waldron concluded by reminding districts to choose vendors who can adapt to change brought on by technology advancements, curriculum requirements, and "new government requirements or guidelines." 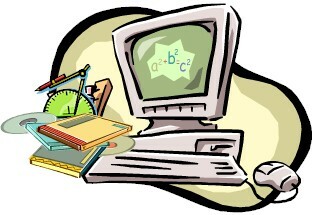 non-technology learning materials available to the students." (p. 15). Need help with your implementation? The process begins with objectives, planning before implementation, involving all stakeholders in planning and obtaining their buy-in. A successful implementation plan would have an evaluation component with criteria for success that is monitored by an effective leader with decision-making authority. All physical components and equipment for implementation to match software requirements would be present. Learners would have the prerequisite knowledge/skills to match the software specifications for use. Most of the concepts include a context with details to consider for each stage in implementation. Help K-12 educational institutions make better use of software products through the use of effective implementation practices. Highlight the importance and impact of implementation practices on obtaining results from software use. Provide K-12 educators and administrators with practical tools to use in the implementation process (p. 4). Those tools include a complete set of blank implementation planning forms. Closing the Gap has an extensive resource directory with hardware, software, other assistive technology, producers, and organizations (e.g., those in your state) that serve children and adults with special needs. You can search for software by disability, access aids, professional management, skill level, academic content area, or define your own category. Hardware can be found via disability and input/output device. Plus, you can search by product category. Superkids.com provides reviews and ratings of educational software. TechMatrix, a product of the National Center for Technology Innovation, is a searchable database for math, reading, writing, and assistive technologies. Find evidence of effectiveness and products that support the instruction of K-8 students with special needs. Supporting literature on promising practices for the instruction of K-8 mathematics for students with disabilities is also provided. Over 80 math products are reviewed for technology and instructional features: differentiation, cursor control options, customizable interface options, input/output options, text to speech capability, embedded resources, drafting options, word prediction capabilities, text-embedded prompts. Links to vendors are provided. Need guidelines for selecting quality software? Get guidelines to judge the instructional and technical merit of educational software in Selecting Curriculum-Based Software by Dr. Patricia Deubel, which was featured in Learning & Leading with Technology, February, 2002. DO-IT at the University of Washington: Designing Software that is Accessible to Individuals with Disabilities includes standards. Reeves, D. (2006). The learning leader: How to focus school improvement for better results. Alexandria, VA: ASCD.